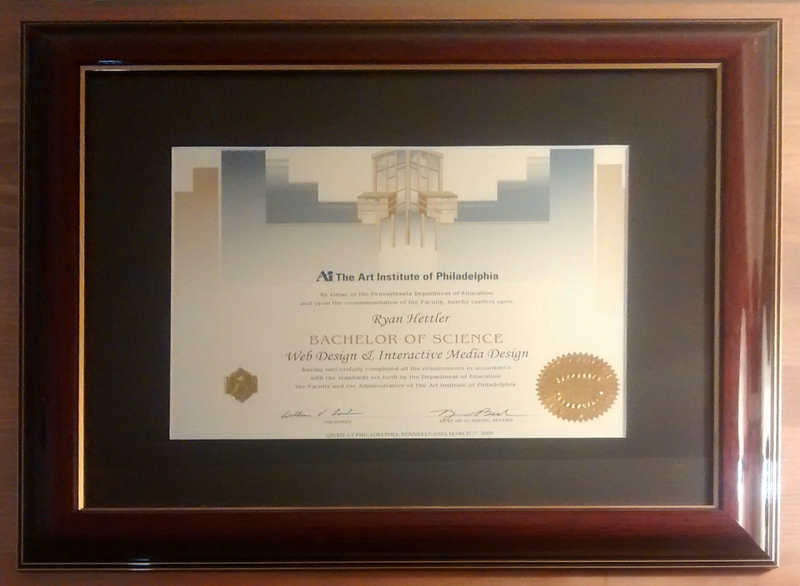 Ryan Hettler knows the ins and outs of taking a custom design and applying custom markup and code so the design can function correctly for the target audience. Caution: Ryan Hettler is not proficient at dressing mannequins or babysitting. 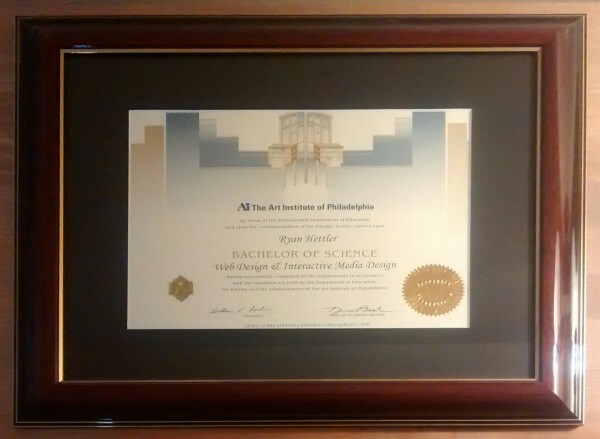 Ryan Hettler graduated from the Art Institute of Philadelphia with a Bachelor of Science in Web Design & Interactive Media Design on March 27th, 2009.